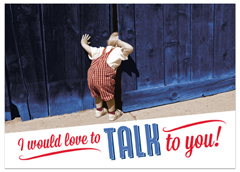 NISA offers Business Greeting Cards as a creative sales tool to gain new customers and to follow up sales calls. Shop for unique sales products for all stages of your sales cycle, from the initial contact and sales prospecting to customer retention and asking for referrals. Our Employee Appreciation Cards will help you to increase team work and boost company morale. 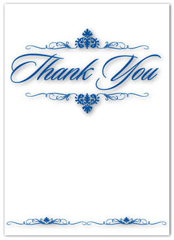 NISA offers Business Thank You Cards for your employees and business associates. Shop for unique cards that help boost employee morale or shop for cards that thank your client for their business. A high quality genuine hand written business thank you note will nurture and maintain your business relationships in a truly unique and effective way. NISA offers Birthday Cards for business clients. Impress your clients by remembering and sending business birthday cards on their special day. Greeting cards can be personalized with your business name and contact information. 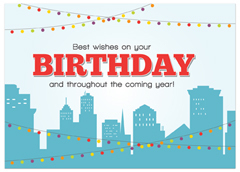 Select a business greeting from our wide range of birthday cards. 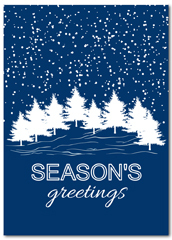 Christmas cards for business and Business Holiday cards. All greeting cards can be personalized with your company name or logo to send to business clients during the holiday and Christmas season. With a full line of professional cards full of holiday warmth and cheer, sending out NISA personalized Business Holiday Cards is a sure way to strengthen any business relationship.